I'm searching for a way to present my stationary for my restaurant. The stationary is the printed media which the customers will interact with. It's important that all the variables have been considered, so the customers can have the correct experience. I'm specifically looking at menus and associated items. The branding for the Saloon restaurant's stationary is very rustic, printing onto quality stocks, then using wood as a clip board to hold the menu. 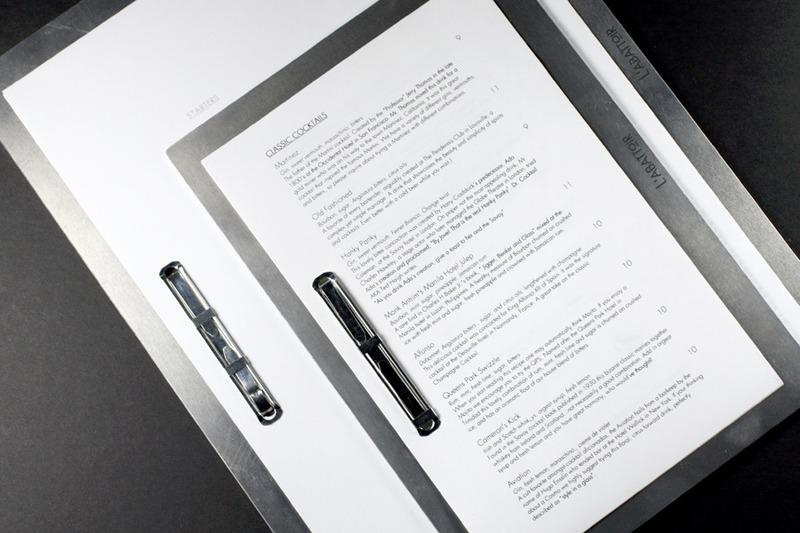 Multiple restaurants use clipboards in their establishments to hold their menus. Another way of reinforcing their menu is using a metal binder.